Located in Tarifa, to be more precise in La Paloma, this property boasts 18,000m2 of land with the main house of 270m2 of interior living providing fabulous unobstructed ocean views consist of an open plan kitchen and living room, master bedroom en- suite and another bedroom en-suite was built with high end finishes and fixtures and tastefully furnished. Adjacent to the main house there is one self contained cottage with two bedrooms en-suite. The third building consists of a large double bedroom en-suite with its own terrace. And the last one is a charming wooden house offering a double bedroom en-suite. 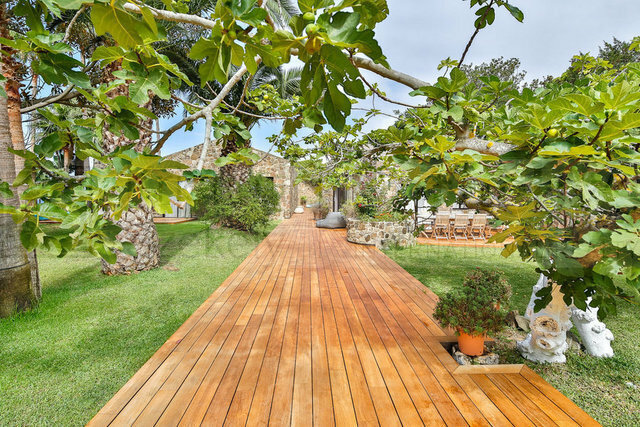 The garden is very mature and exotic with elegant and majestic palm trees. A grass slops brings you to a sandy beach. A paradise within the National Park!